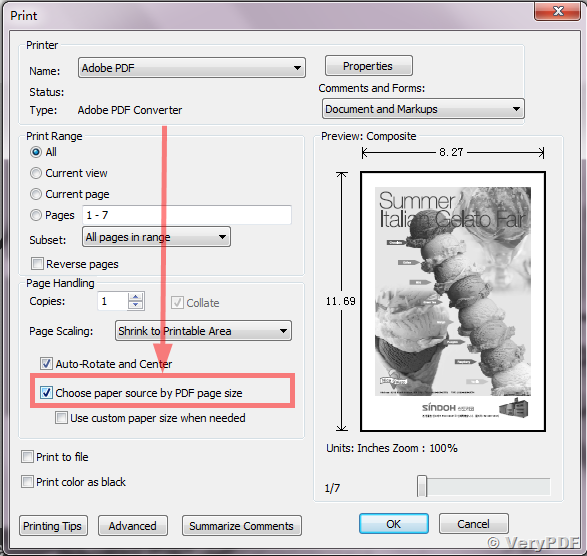 We are using VeryPDF tool licensed tool to convert our html file to PDF file. We are using Doc convertor as a windows service "VeryPDF DocConverter COM Service". In our code we are using html2pdf.exe command line and PDFOUTLib. Doc2PDFCommandLine to execute the command line which is formed in html2pdf command line. Once we fire the above command we immediately delete the source html file from the hard disc by checking whether destination PDF file created in hard disc and not checking size and all. When we run it for 500 html file some time the PDF file gets created only with "Page Not Found" as a content and original content is missing We would like to know how the verypdf Doc2PDFCommandLine method and "VeryPDF DocConverter COM Service" works in the background. Is it creating PFD file first and then its takes some time(x amount of time) to put the actual content. In the mean time we are deleting the source file, so its created with "page not found" as content. Could you please confirm our assumption. Here with I have attached my code snippet also. Your code is no problem, you should better convert all of your HTML files to PDF files one by one, you should not run several instances to convert more HTML files to PDF files at one time. You can also run html2pdf.exe to convert HTML files to PDF files directly, html2pdf.exe can be used easier than DocConverter COM product. for /r D:\test %F in (*.htm) do html2pdf.exe "%F" "%~dpnF.pdf" "Overwrite=yes,KillProcess=no,doc2pdf_service=yes"
you can replace "D:\test" folder to correct folder in your system. All of your HTML files will be converted to PDF files at one time by above command line. for %F in (D:\test\*.htm) do html2pdf.exe "%F" "%~dpnF.pdf" "Overwrite=yes,KillProcess=no,doc2pdf_service=yes"
I need to retrieve the paper size from a PDF file, with no printing. All I get is pdfprint printing the file out to the default printer. I have a folder of PDF files. Each page in each file is 11 x 14.5 inches. I need to crop the right .5 inch off of each page in each file in the input directory so that the resulting pages are all 11 x 14. What do I need to do this? How fast does it run? pdftools -i "C:\input.pdf" -o "C:\output.pdf" -X "Crop:0 0 792 1008"
for %F in (D:\temp\*.pdf) do pdftools -i "%F" -o "C:\test\%~nF.pdf" -X "Crop:0 0 792 1008"
What is the PDFPrint -paper "pdf" command for? 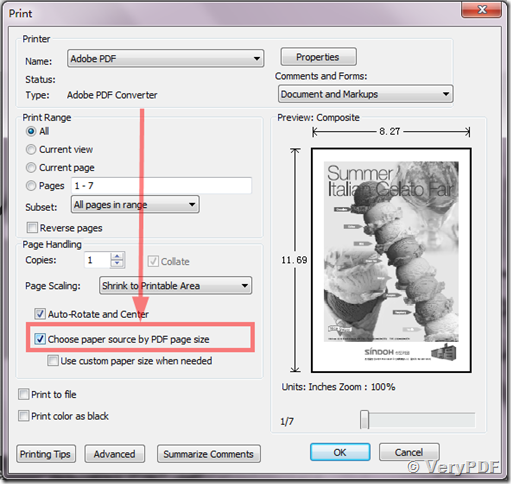 PDFPrint -paper "pdf" will read the paper size from PDF file and set the paper size to target printer, it is same as "Choose paper source by PDF" option in Adobe Acrobat software. This entry was posted in Advanced PDF Tools, DocConverter COM, PDF Print and tagged crop pdf, crop pdf page, HTML to PDF, pdf page size, pdf tools. Bookmark the permalink.